Sarah Elizabeth Suddarth. Image submitted by TBI. 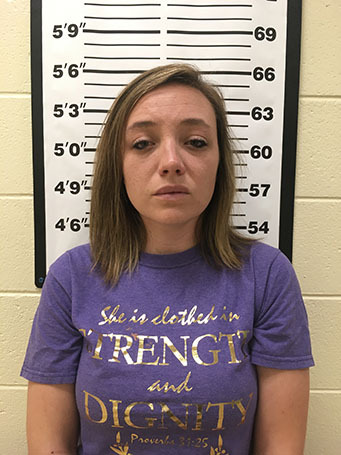 A Macon County woman has been indicted. Twenty five year old Sarah Elizabeth Suddarth turned herself in for falsely reporting a sexual assault incident. Suddarth was under investigation by TBI special agents. She reported that a male subject sexually assault her while she was at his home in December 2016. The investigation revealed that the incident did not occur. A Fentress County Grand Jury returned an indictment charging Suddarth with one count of Filing a False Report. This week, she turned herself in and was booked into the Fentress County Jail on a $2,500 bond.